DZG’s outreach team is gearing up to hit the road and we’re getting our critters ready for the journey. Outreach Co-ordinator Madeleine Avila-Thomas, pictured with Californian king snake Cortez, is working with a selection of off-show creatures in our Discovery Centre to get them used to being held and touched by members of the public when they are taken out of the zoo. Madeleine said: “We’re spending time handling some of our more recent arrivals, including bearded dragon Blackadder, Rankin’s dragons Tristan and Daenerys and king snake Cortez, so they will be ready to meet plenty of people throughout the year. The first outreach of 2019 takes place at Wolverhampton’s Mander Shopping Centre next month when Madeleine and the team will be outside clothing store H&M on February 16, 18 and 23 between 9am and 5.30pm. They will take along a selection of cuddly animals and creepy crawlies as well as biofacts and be offering face painting. The team is also heading to Great Barr library for a pre-booked event during the half term week. If you’re hosting an event this year, why not let us bring DZG to you? Last year, our outreach team travelled to fairs, festivals, libraries, care homes and museums across the borough and beyond to help educate members of the public about the zoo and its conservation work. Packages are available all year round, seven days a week and can be tailored to suit individual events. And our 2019 diary is quickly filling up. 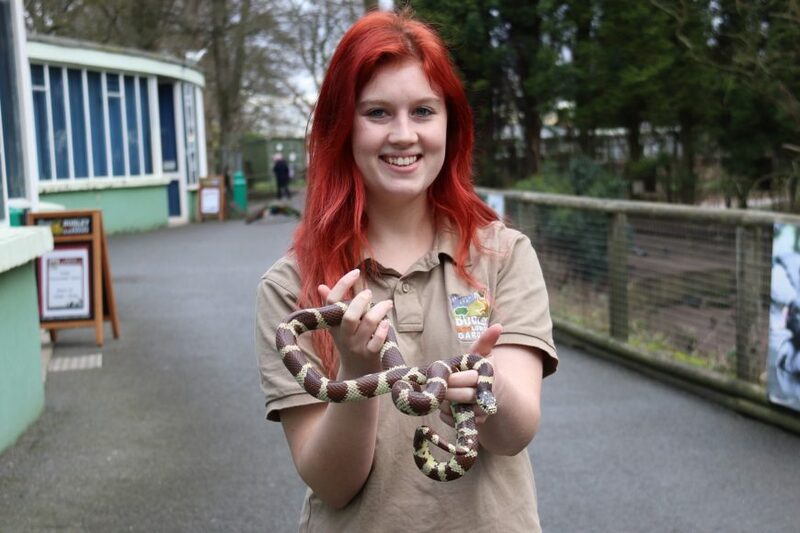 To make sure we don’t miss out on your event email Madeleine at outreach@dudleyzoo.org.uk or call 01384 215301. Previous: A turkey tea for tigers!